Regular monthly giving is the most effective form of funding. 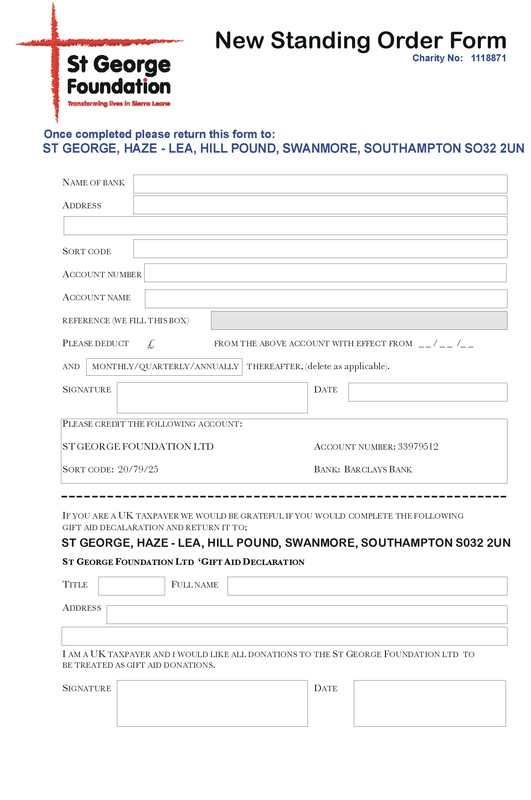 Please print out and complete a Standing Order Form. We are looking for sponsors for the education of all the children currently at the Interim Care Centre (ICC); there is no state education in Sierra Leone, and sending the children to school is very important but a huge cost - That's why we need your help! College and University aged children could be sponsored by individuals, groups or corporations. To sponsor a child please fill in these forms to return to us: Sponsorship Form A and Sponsorship Form B.